The golf team has struggled to remain consistent lately but is still producing good results on the leaderboards. Just two weeks after finishing 12th out of 15 teams at the Southern Highlands Collegiate Masters in Las Vegas, the team rebounded to take first place at the Valspar Invitational in Palm City, Florida. The team is currently ranked No. 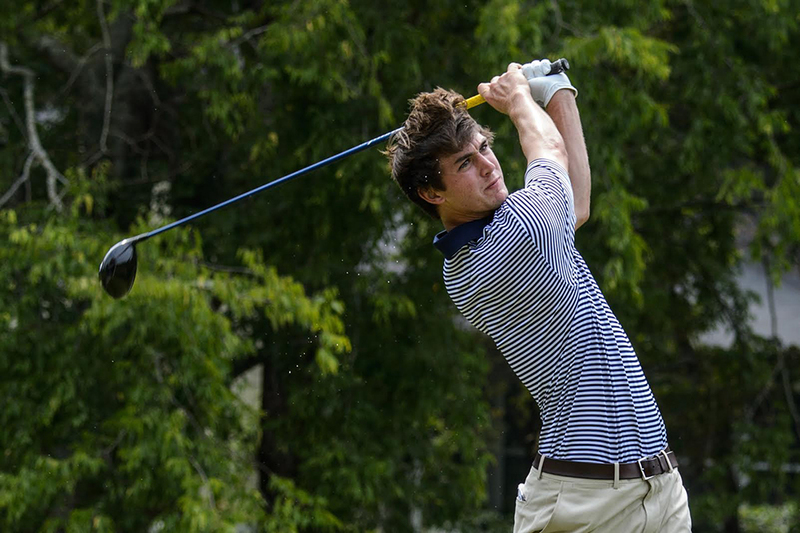 4 in the nation and boasts two players, Ollie Schniederjans at No. 4 and Seth Reeves at No. 26, ranked in the Top 50. With the ACC Championship less than a month away, the team is hoping to hit its stride and play up to its potential. The Jackets were consistent in the fall, but this spring has had its ups and downs, as they have competed in four more events, finishing in seventh, second, and 12th before taking first in Florida. Schniederjans was the best player on the course at their most recent event, the Valspar Invitational, shooting three straight rounds at -4 to earn medalist honors. His efforts also propelled the Jackets to a first place finish, coming in eight strokes ahead of No. 2 Oklahoma State. Despite the outcome, Schniederjans feels that the team had room for improvement. Schneiderjans feels that the biggest difference between the fall and spring is the difficulty of the courses they play. Three of the four fall tournaments took place in Georgia at familiar and comfortable courses for the team. In contrast, the team traveled to Hawaii, Puerto Rico and Vegas in the spring, playing on tougher courses that they were not used to seeing. The level of competition was also weaker in the fall, as Tech did not have to face as many ranked opponents. Schneiderjans has been one of Tech’s key players this year, finishing in first place overall in three events and posting a team-best -1 combined score on the season. He says that he owes his success in the sport to his putting skill and his ability to strategize, play smart and stay disciplined. He also does not let the pressure affect him. “I’m just making sure that I’m focused on the task at hand. It’s as simple as when I head into the round, as long as I have a gameplan and a nice warm-up, I’m ready to go on the first tee. All I’m thinking about is what I’m trying to do on that shot and getting it done, one shot at a time,” Schniederjans said. As for the remainder of the season, Schniederjans believes that this team can go far.